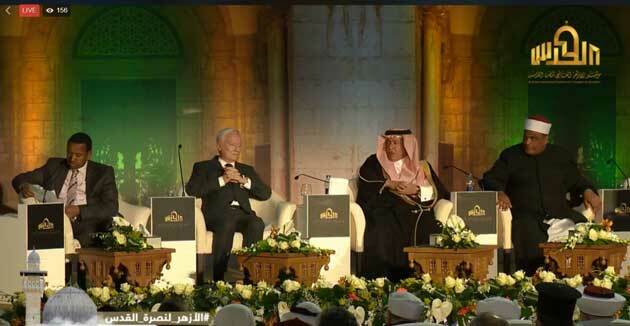 GENEVA, Jan 19 2018 - During a speech at the Al-Azhar conference in Cairo on the situation in Jerusalem, the Executive Director of the Geneva Centre for Human Rights Advancement and Global Dialogue Ambassador Idriss Jazairy appealed to the international community, and in particular the Arabic and Muslim community, “to join forces and act in concert in order to halt the violations of Palestinians’ human rights. Jazairy said that the international community has a “moral duty” to protect and to uphold the human rights of the Palestinian people in the wake of the decision of the US to recognise Jerusalem as the capital of Israel. “Al Quds is a textbook case of multi-faceted and cross-cutting violations of human rights,” he said. 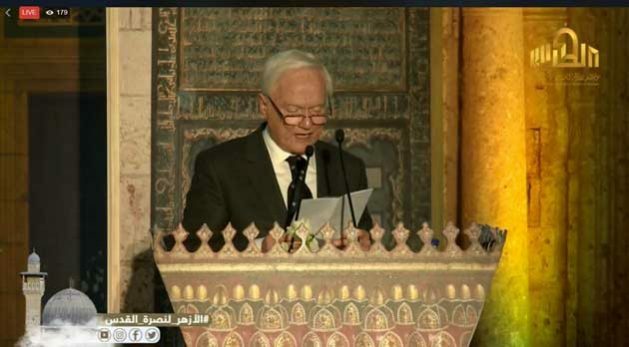 In his speech Jazairy stated that the official recognition of Jerusalem as the capital of Israel has negative consequences on the Palestinians’ enjoyment of their right to self-determination. The situation has the potential to further escalate. He added that the daily human rights violations of the Palestinian people and to accelerate the judaization of Jerusalem despite the fact that the three Abrahamic religions should have the same standing in the Holy City. “It may lead, inter alia, to the further expansion of settlements and systematic demolitions of homes in East Jerusalem, as well as to further restrictions on the Palestinians’ freedom of movement across the city,” stated Jazairy. The two-day international conference on Jerusalem – held under the auspices of the President of Arab Republic of Egypt H. E. Abdel Fattah el-Sisi – was organized in Egypt’s capital Cairo. It gathered a number of international figures including: President of Palestine Mahmoud Abbas, the Grand Imam of Al-Azhar Dr. Ahmed el-Tayeb and the Chief of the Arab Parliament Meshaal bin Fahm al-Salmi. During his visit to Cairo, Jazairy was received for a private audience by Dr. Ahmed el-Tayeb, the Grand Imam of Al-Azhar with whom he exchanged views on the progress of the preparation of the Geneva Centre-initiated world conference scheduled to be held at the Palais des Nations in Geneva on 18 June 2018 on the theme of: “Religions, Creeds and/or Other Value Systems: Joining Forces to Enhance Equal Citizenship Rights” to which the Grand Imam has been invited. Yet, when Jordan occupied part of Jerusalem for 18 years, it made no effort to establish a Palestinian state.